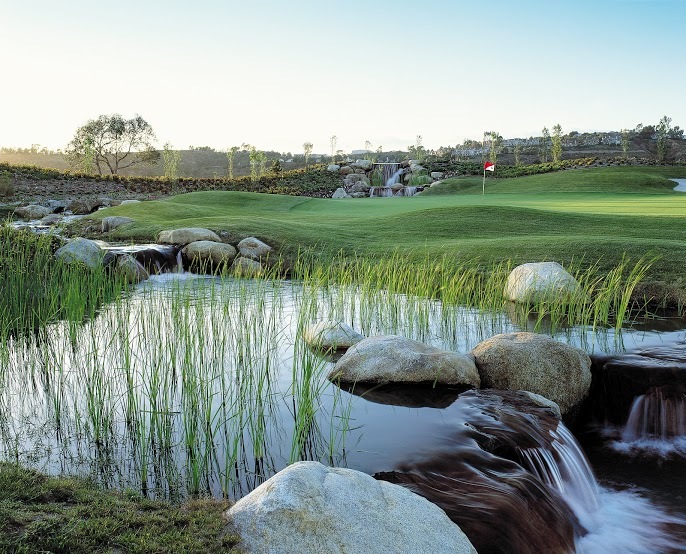 The Riverwalk course features 3 different 9 hole courses named Presidio, Mission and Friars. I love this course, it is in great condition from tee to green and a really fun play. Today we played the Presidio/Mission combination from the tips for a combined slope and rating of 71.9/126. Enjoy! Overall I’m disappointed in my score because I finally drove the ball well…even though my stats show only 5 fairways hit, probably had about 5 more that were barely off the fairway. My weak point today was my wedge game; 6 times I had about 100 yards in or less from fairways and could not put it close or even on the green. It’s disappointing because that has been strength of mine these past few weeks, so it’s just one of those off days. I need to practice a lot on getting my exact distances down with those wedges. For example I need to know how far a chock down lob wedge goes, compared to a full grip lob wedge, 3quarter choke down lob wedge and half shot lob wedge. If I can find out the exact distances my 60, 56 and 52 degree wedges go when I’m at full, half or low grip and at full, 3quarter and half swing lengths that will help me score better. Right now I’m going off of feel and I need exact distances so I don’t have to second guess what to do. Overall though, I keep saying it, but I am definitely improving. I feel really confident out there with my swing, from tee to green. It’s starting to come together and I cannot wait until the day that it all just clicks! Will probably be playing again on Saturday if everything goes according to plan. I think today I’m going to go get my putter head re-glued and get a new grip put on. (Right now I have a slightly fatter grip) I have been putting really well, but I think my putter head is sitting closed and the grip has bothered me every since I bought it, I need something slightly smaller. It’s time for a change and if I get it done, I’ll post a before and after picture of my putter for reference.